WAITRESS Tulsa Lulus on 2 Works For You, Nicole Scimeca in American Girl Photo Shoot, and more! Faye Lucy Kindred and Sloane VanDolah (Waitress Tulsa) stopped by 2 Works For You ahead of their Lulu debuts! Watch the interview below! Alum Nicole Scimeca (How the Grinch Stole Christmas) did a photo shoot with American Girl this week! And check out these pictures and videos from the kids of The Sound of Music, Miss Saigon, Finding Neverland, School of Rock, On Your Feet, and A Bronx Tale! 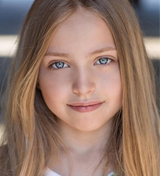 Delilah Rose Pellow Officially Joins ANASTASIA, Katie Grgecic and Olivia Fanders to Guest Star on “Happy,” and more! 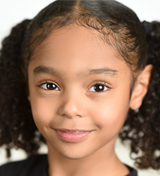 Congratulations to Delilah Rose Pellow (How the Grinch Stole Christmas), who officially joins Anastasia tonight, reprising her Broadway role! Break a leg, Delilah! Alumni Katie Grgecic (The Sound of Music) and Olivia Fanders (Shrek) will guest star on Syfy’s “Happy” tomorrow night at 10pm! Dahlia “Dovie” Allen and Vivienne Simmons sat down with “Good Day NWA” to chat about playing Lulu while Waitress is in Fayetteville, AR! Check it out on NWAHomepage.com. And here are pictures and videos from the kids of Anastasia, Finding Neverland, Les Miserables, Miss Saigon, The Lion King, and The King and I! 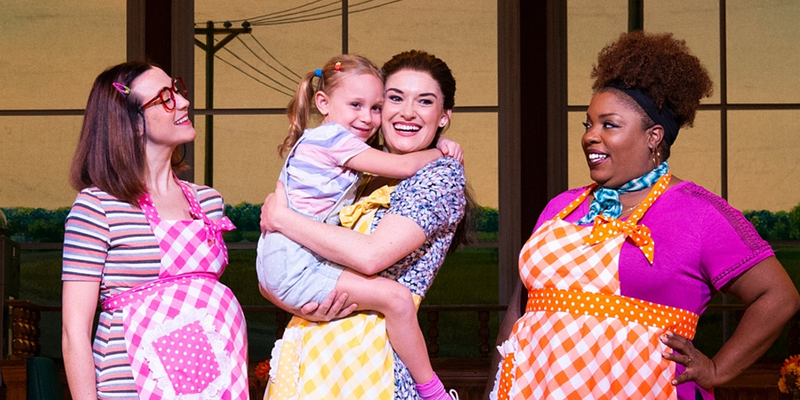 WAITRESS’s Tulsa Lulus Announced, Gabrielle Carrubba in DEAR EVAN HANSEN on Broadway, and more! Congrats to five year olds Faye Lucy Kindred and Sloane VanDolah, who will share the role of Lulu when Waitress stops in Tulsa, Oklahoma! Learn more about the girls HERE! Congrats to alum Gabrielle Carrubba (Annie), who is now an understudy in Dear Evan Hansen on Broadway! Tour alumni Zachary Mackiewicz (Mary Poppins, Pippin) and Colton Maurer (A Christmas Story) are appearing in Beauty and the Beast this weekend at Immaculate Heart Academy in New Jersey! Get more info HERE! Paul Schoeller (Finding Neverland) chatted with Houston Family Magazine! Check out the interview HERE! 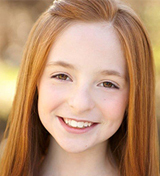 Alum Olivia Fanders (Shrek) will perform at Young Performer’s Night in New York City! Get more info about the event below! 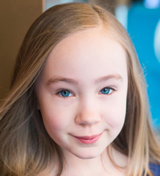 Alum Lily Brooks O’Briant (Matilda) shot a new music video for Olivia Reid! Check out pictures on set below! The Rochester Broadway Theatre League has announced its 2019-2020 season, which includes Dear Evan Hansen and Anastasia! Get more info about the season below! The Tobin Center in San Antonio has announced its 2019-2020 season, which includes Finding Neverland and Once! Get more info about the season below! And check out these pictures from the kids of Waitress, The Sound of Music, Finding Neverland, Anastasia, On Your Feet, and Miss Saigon!